Ethereal and atmospheric songs inspired by lore and legends of the sea and the ancient mariner. By Scott Matthews. (Vocals, All Instruments) . Tipping a hat to keyboard oriented rock of the 70s', and the leanings of the 80s' romantic era. 2012 Followup to Radium Lustre. 8 new tracks by Scott Matthews. Scott wrote and performed all songs, including vocals, piano, synths, virtual orch, bass and drums. Many songs have direct or underlyiing themes based around mariner lore and myths. "The rime of the ancient mariner", figures prominently into many of these songs lyrics and atmospheric motifs, that lend themselves to the ethereal and mystical quality of the sea. 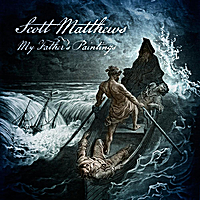 To find out more please visit http://www.scottmatthewscanada.com for more info .